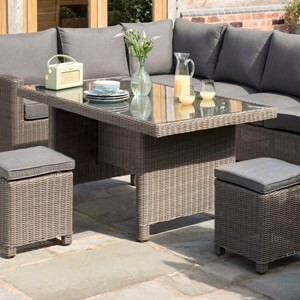 This table is perfect for entertaining guests for dinner or a morning cup of coffee in the sun. 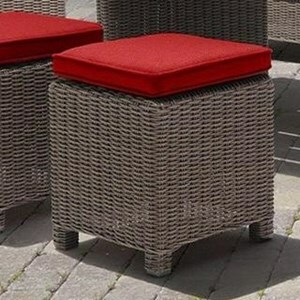 Constructed from rust-resistant aluminum and durable synthetic wicker, this piece is low-maintenance and easily cleanable with just soap and water. 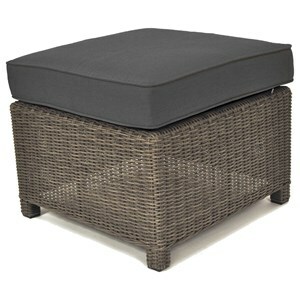 The trestle base and tall table top are perfect for tucking ottomans, stools or chairs under for easy storage. If you're looking for the perfect contemporary piece to gather around in your backyard, this table is for you. 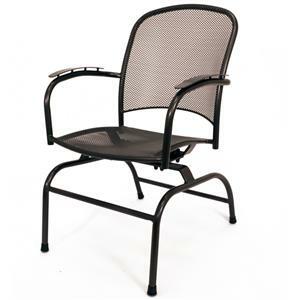 Bring indoor comfort outside with this rocker chair. The piece consists of Proprietary Electrotherm® coating , which helps resists scratching, chipping and fading. Meanwhile, the fully-welded frame construction creates optimal stability while the contoured seat and back add maximum comfort. 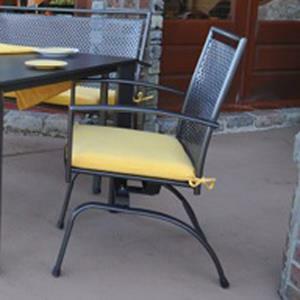 You'll love spending time outside with this spring rocker. Make your outdoor your favorite place to be with this spring chair. The piece carries a gray frame finish and consists of Proprietary Electrotherm® coating, which helps resists scratching, chipping and fading. Plus, the contoured back adds maximum comfort. A seat cushion is also available. 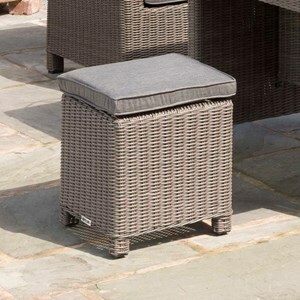 Your outdoor area will be great place to spend a sunny afternoon with help from this spring chair. 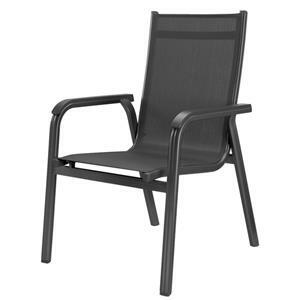 Create an outdoor area that leaves you excited for warm summer evenings with help from this chair. The piece consists of powder-coated, light-weight aluminum frame as well as polymer resin armrests, which coordinate with frame and remain cool to the touch. In addition, high-quality, quick drying Textilene guarantees pleasant, comfortable ergonomic seating while the stackable light-weight design makes for easy storage. Replaceable foot glides are also included. 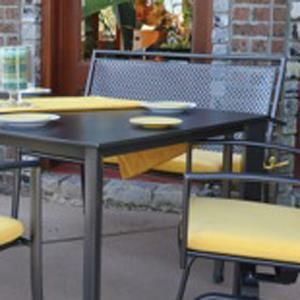 Create a wonderful area to gather with friends and family with this outdoor bench. The piece comes in a gray finish and features Proprietary Electrotherm® coating, which helps resists scratching, chipping and fading. The fully-welded frame construction creates optimal stability while the contoured back adds maximum comfort. Plus, the bench is stackable for easy winter storage. Make your outdoor area complete with this attractive bench. Create the perfect contemporary backyard scene with the addition of this outdoor sectional. This sectional is perfect for entertaining guests with room for everyone. This sectional features a frame built from lightweight rust-resistant aluminum covered in durable synthetic wicker and foam cushions wrapped with Sunbrella performance fabric for strength against the outdoor elements. Curved track arms and squared cushions contribute to this sectional's contemporary style that will look great on your patio. Create a wonderful area to gather with friends and family with this outdoor bench. The piece comes in a gray finish and features Proprietary Electrotherm® coating, which helps resists scratching, chipping and fading. The fully-welded frame construction creates optimal stability while the contoured back adds maximum comfort. Plus, the bench is stackable for easy winter storage. A bench cushion is also available. 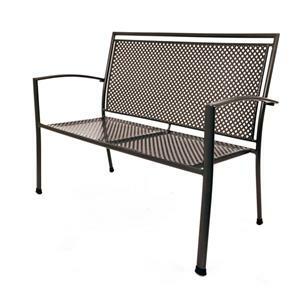 Make your outdoor area complete with this attractive bench.